George Graham Reviews Mark Knopfler's "The Ragpicker's Dream"
In today's thoroughly disposable pop music world, in which performers are dropped by their the major record labels if they don't go multi-platinum within weeks, it has become difficult for artists to develop durable careers. That's a shame, since performers usually take years to reach their full creative potential. One is reminded of that by the stream of interesting and creatively satisfying recent album releases by performers who became rock stars in their day, but did so over time. Paul Simon, Sting, Van Morrison, John Mellancamp, and Janis Ian are a few who over a lengthy career continue to generate outstanding new music, and who would never had the chance to develop their careers over time if the record industry was run then as it is now. This week we have another stellar example of veteran performer who continues to make fascinating music after enjoying a career as a rock star. 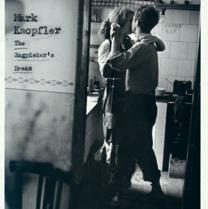 The Ragpicker's Dream is the new release from Mark Knopfler. It was more than a quarter century ago when the band Dire Straits emerged with their distinctive first hit Sultans of Swing. Over the years, the group, through a string of critically acclaimed album releases, and extensive touring, became one of the most popular rock bands around the world, selling some 85 million albums. By the early 1990s, Dire Straits was winding down, and the group's principal writer, lead vocalist and distinctive guitarist Mark Knopfler began a series of side projects, including creating music for films, and collaborating with such people as country guitar legend Chet Atkins, and the Irish band the Chieftains. It was in 1996 when Knopfler released his first regular solo album, though some of his film soundtracks had been released. His CD Golden Heart built on the Dire Straits sound, known for its interesting sonic textures and Knopfler's distinctive gruff vocals, and became more expansive in sound, due to added guests and the recording being made in various venues. Four years later, Knopfler released Sailing to Philadelphia, which further explored the different styles the versatile musician had been trying, including his connection with Nashville, and had a guest appearance by James Taylor on its title track. The Ragpicker's Dream is about as close to a concept album as Knopfler or Dire Straits have done. It's a collection of songs written from the standpoint of poor but dignified people, struggling in life to get by, and often enjoying their own small triumphs. And while Knopfler has frequently performed on acoustic guitar, this is a surprisingly folk-oriented album, with original songs that sound as if they could be old and traditional. It also reflects Knopfler's rather transatlantic career -- the songs are set in both Europe and America, and sometimes could be placed in either locale. This time, there are no big-name guests, and the instrumentation and arrangements, while still having the sonic sheen typical of Knopfler, are decidedly more intimate than most of his previous work. On the new CD he is joined by a regular band, including musicians with whom he has often worked in the past, such as keyboard man Guy Fletcher, and Nashville stalwart bassist Glen Worf. On additional guitar is Richard Bennett, on keyboards is Jim Cox, and the drummer is Chad Cromwell, all of whom were part of Sailing to Philadelphia. As on his last album, no recording locations are specified in the CD booklet notes, but it does sound as if a good portion of it was made in Nashville, and there were likely parts recorded in England as well. Mark Knopfler's new CD The Ragpicker's Dream, only his third formal solo album in an over-25-year recording career, is a fascinating and enjoyable record. The first real concept album that he has done either by himself or with Dire Straits, the CD is centered on the lives of those who struggle to make ends meet, and often become itinerant in the process. While musically more modest, in terms of arrangements and instrumentation, it is nevertheless one of the most eclectic CDs Knopfler has done, ranging from the familiar Dire Straits rock mode to some Western swing. The writing, musically, and particularly lyrically, is outstanding. Knopfler has taken up the subject of work and the disparity it sometimes creates before, most notably on the Dire Straits hit Money for Nothing. But here he examines a number of different facets, and the result is quite satisfying. Sonically, the CD is rather more modest in scope than his previous solo releases, but it's handled very well. Knopfler co-produced the The Ragpicker's Dream with talented recording engineer Chuck Ainlay, who served the same role on Knopfler's last project. Ainlay provides the virtually shimmering sound that has been a Knopfler trademark. The dynamic range is also relatively better than is common for major-label releases. After spending so much time in the public limelight, and selling as many records as he and his band have, Mark Knopfler again proves that he is an artist at the peak of his form, and willing to pursue his own creative vision, rather than trying to duplicate past hits.